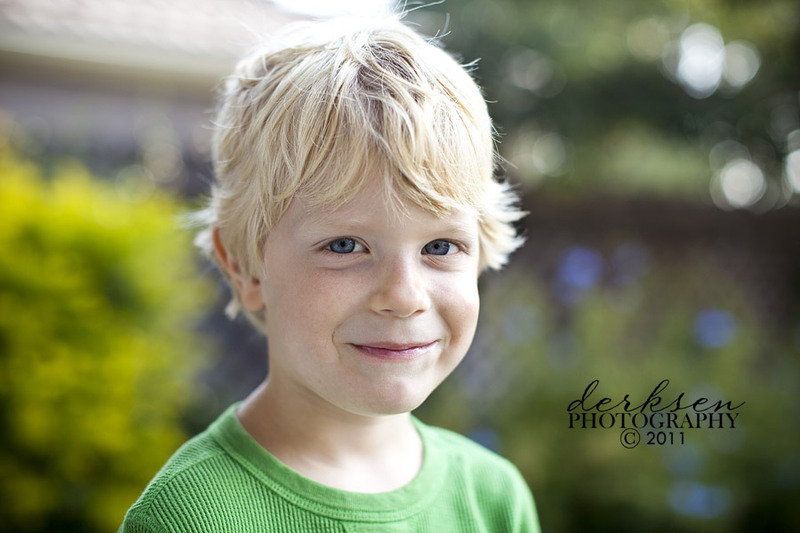 TIP #17: If your background isn’t ideal, open that lens up wide and make it soft, blurry, and beautiful. The other day my little boy and I were having a moment. This is my little guy who sticks out his tongue at the camera, is hardly ever serious, and watches tv upside down on his head (literally). Well, he and I were having a sweet moment in the backyard at home together. He wasn’t wiggling. He wasn’t sticking out his tongue. He was just being sweet and we were enjoying each other. I had my camera because I was taking some pics of my nephew and I started taking a couple of pics of my little guy. I wasn’t about to ask him to move to a “prettier spot” cause that would change the moment for sure. Instead I opened my aperture up to 2.2 so that the background would become more blurry and look prettier than it was. The left side of the background is my neighbor’s house and roof. The background also consists of the typical backyard fence and some plants. And now it’s blurry enough that it doesn’t bother me. Instead I love this picture. Try it. Take your aperture down to a really small number. Try 2.0 or 2.2. Get in somewhat close to your subject and shoot. See what you think. Cori, my son is the same way and it is so hard to get good pics of him. Thank you for sharing! !